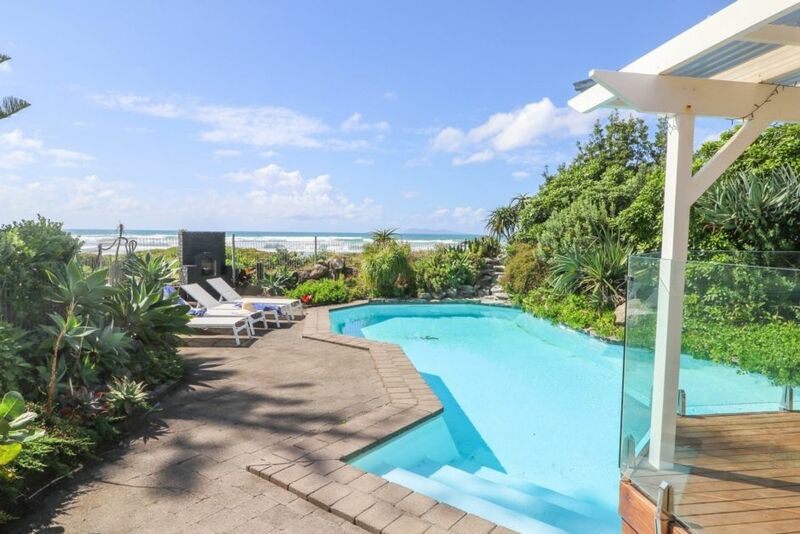 The West Residence is located directly in front of the white sands of Waihi Beach. Widely regarded as one of the safest surf beaches in New Zealand. Located only 1hour 45 mins from Auckland or 45 mins from Tauranga, The Spot is perfect for a weekend getaway. The West Residence is ideal for a large family or two smaller families. This two level home has 3 bedrooms and a bathroom downstairs, and 2 bedrooms, bathroom and living room upstairs, along with stunning views. Located 1km from the town centre where you will find great coffee shops, fish and chips and the convenience store. Guest to leave the house as they find it. Please respect the neighbours with regards to noise - no parties. The house has everything you can think of and more. Only wish we could have stayed longer. We really enjoyed our stay for my mother’s 80th get together, lots of room and the pool was a hit. We also rented the house next door for the extra beds. We loved the house ,so much space and everything was perfect clean.The outdoor area is so nice and the view stunning.Perfect spot. Fabulous location and great facilities. Fantastic property. Great view from the upstairs bedroom. Walk out the back yard on to the beach. Such a great open plan downstairs for entertaining. Loved it. Two things could be considered. 1) a larger bbq be provided. The small weber does not really cater for the number of people that the house accomodates 2) a kitchen sink spray hose be fitted. Other than that everything was top notch, loved it.